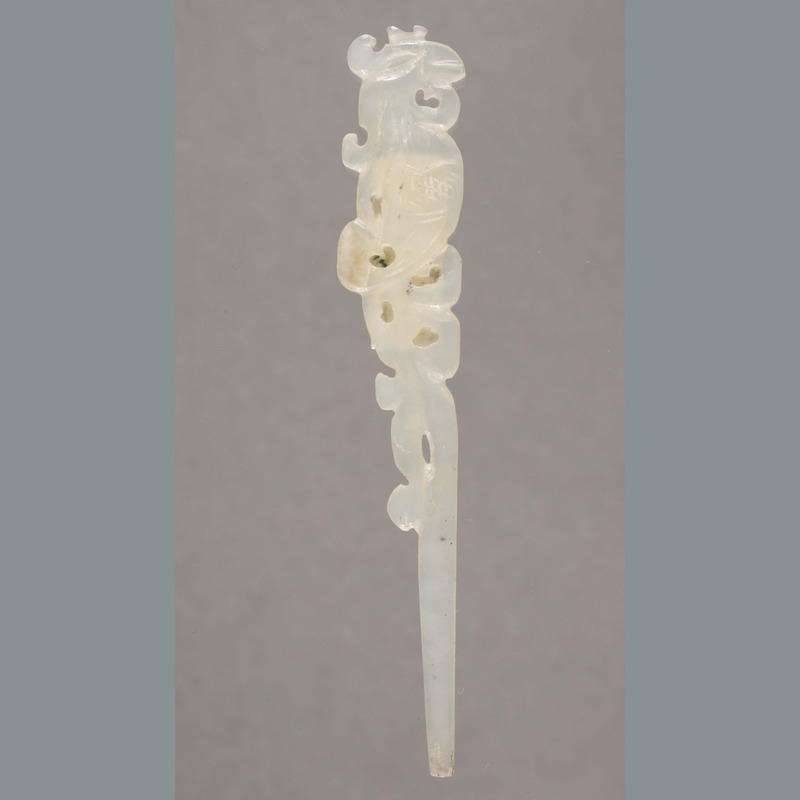 One elongated translucent white jade pin. 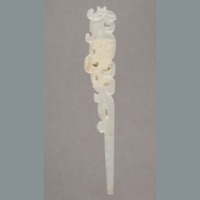 Upper part of shaft embellished with carved serpentine design that pierces jade at several points. 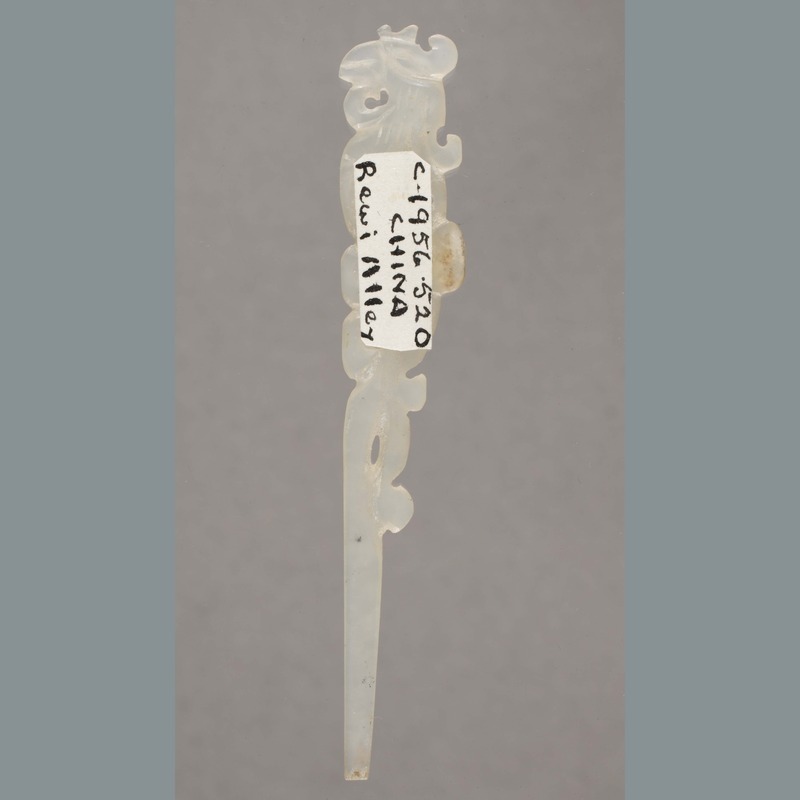 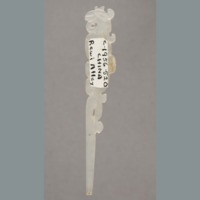 “Jade: pin,” China, Art and Cultural Diplomacy, accessed April 22, 2019, http://rewialleyart.nz/items/show/1126.